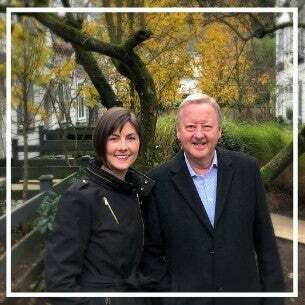 I am thrilled to announce that my daughter-in-law, Leah, has joined me in my real estate business! Leah has come on board in the role of Real Estate Assistant and is perfectly suited to the business with a background in banking and management. Her professionalism and attention to detail are just a few of her talents. Leah has been focusing on marketing including social media and boosting my online presence. She will initially work as my assistant and will work towards obtaining her real estate licence in the not too distant future. She has reminded me, on many occasions, that it’s high time I embraced Facebook, Instagram, LinkedIn and other technology platforms! You may have noticed that she has already had an impact with these sites and is producing our monthly market newsletter. I look forward to working with Leah for many years to come and helping our valued clients.